The only thing that is more surprising than the amount of vintage furniture that was produced from the late 1920’s through the 1940’s is how much of it survives. 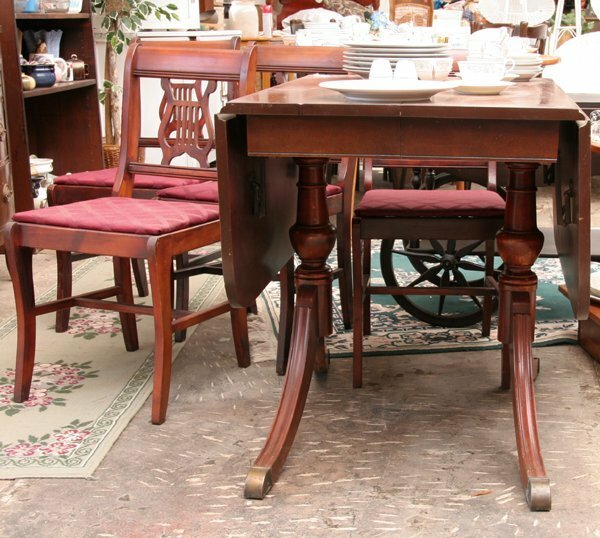 A large percentage of furniture in local antique malls (at least in the Southern California area) dates to this period. There are two prominent styles, Duncan Phyfe style and Jacobean style, both illustrated below. They are so common that most auction houses won’t accept consignments of them. When they do offer them, they do not sell for much. The dinette set sold at Flomation Antique Auction Company in Florida for $150.00 in 2013. To be fair, people do not replace their dinette sets very frequently, so demand for dinette sets in general is not high. 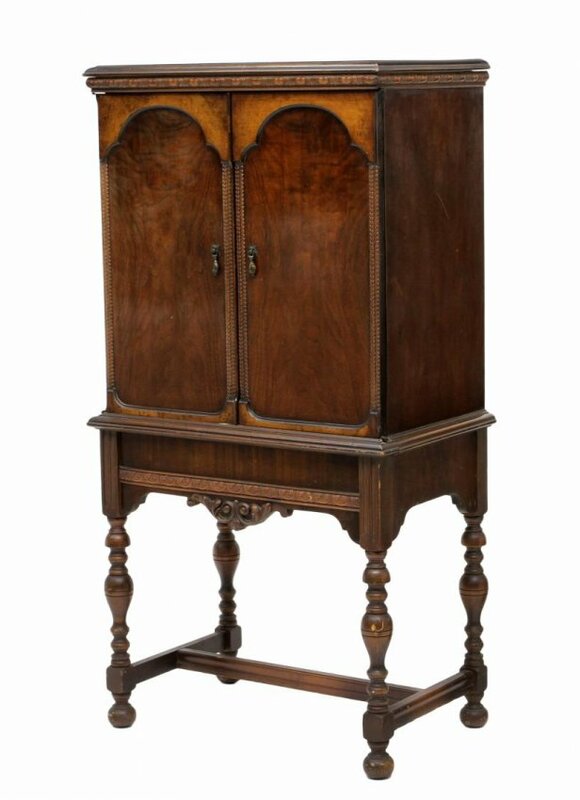 The Jacobean style china hutch did a little better and sold for $150.00 at Austin Auction Company, in Texas. They can also be used for craft storage and office supplies so they are a bit more in demand than dinette sets. Both styles were made in endless variety and at any given time fill several pages on ebay, which is the best place to find value if you happened to inherit a set from a relative. So if you are trying to decide on a listing price for your furniture remember to check the “sold” box on ebay. Asking prices can be inaccurate. The good news is that if you like the style, it is readily available for reasonable prices. Regardless of its current popularity, most of it is very well made, especially by today's standards. The last time I visited the Redlands Galleria, they have a very upscale Jacobean revival dinette set for sale. Happy shopping.